“I have only one functional arm, but I have never let it stop me from making a living on my own. 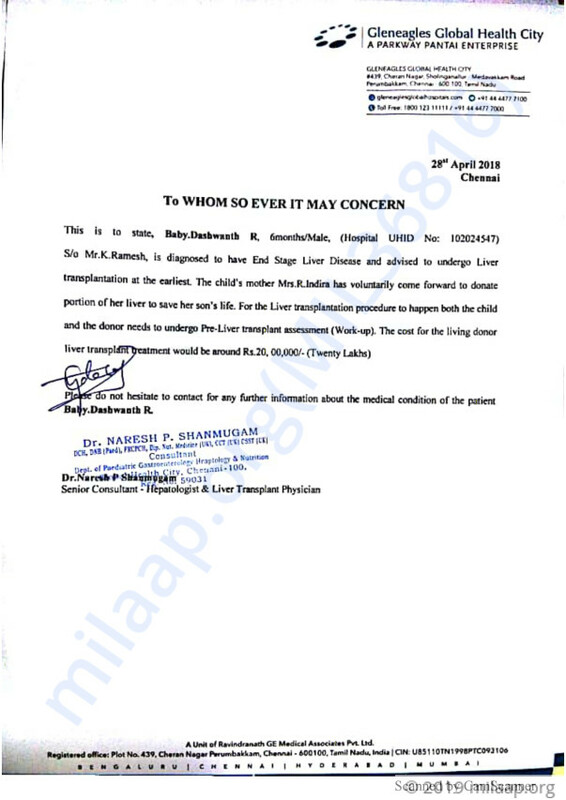 My 6-month-old son’s liver is completely damaged and he needs a liver transplant urgently to survive. My earnings are so meagre that it wouldn’t even suffice for registration fees at the hospital,”- Ramesh, father of 6-month-old Dashwanth. 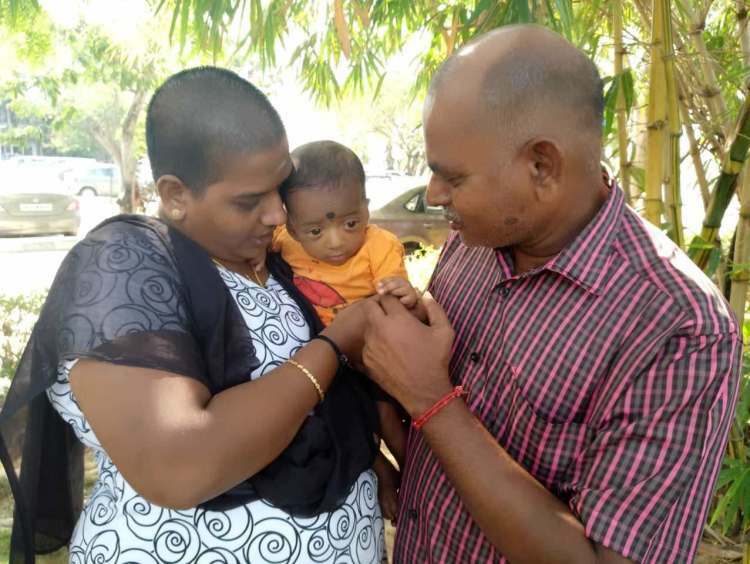 When Ramesh and his wife Indira noticed that their 2-month-old baby’s eyes and body were yellowing, they immediately knew it was not a good sign. They took him to a hospital nearby, but the doctors told them it was nothing to worry about. 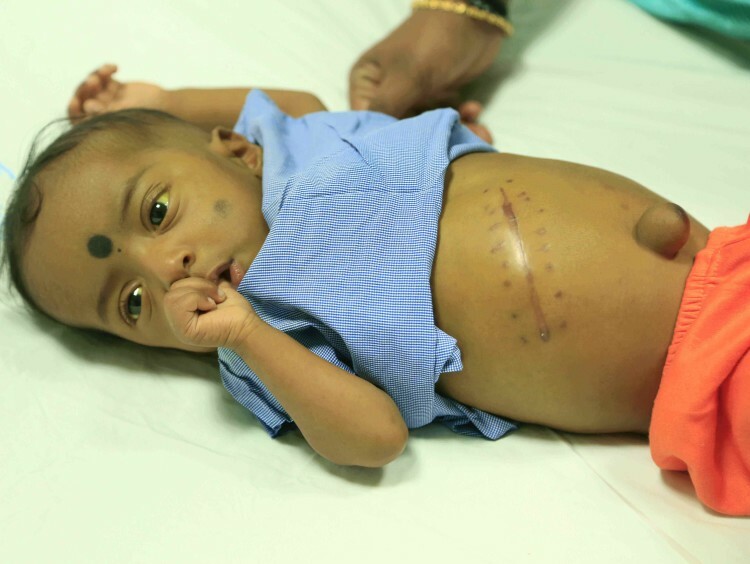 Dashwanth’s liver was not draining bile properly and his bile ducts were getting blocked. 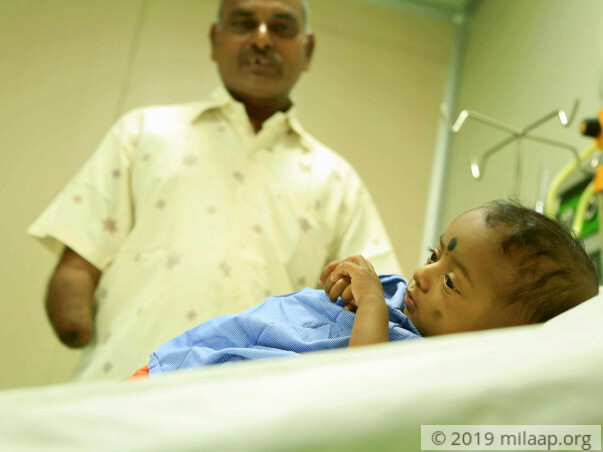 Ramesh borrowed money from friends and family, and Dashwanth had a surgery to correct this problem, but it did not help. Instead, his abdomen started getting bigger day by day. His crying spells became longer and more intensified. “We can only watch helplessly when our baby cries in pain at night. His stomach is filled with fluid and he can’t even turn to one side or move about normally like infants his age. If we lift him when he is crying, he cries even more. I can’t even comfort him because my embrace can hurt his little body. 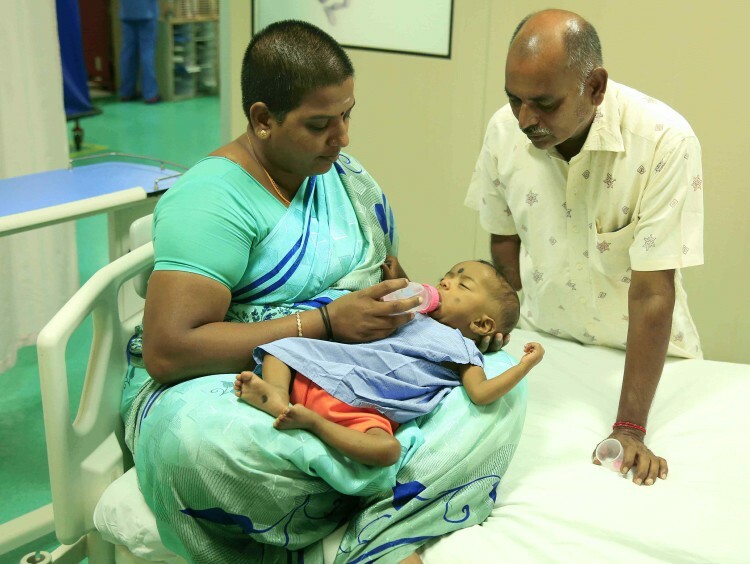 To not be able to take away your child’s discomfort is the worst thing for a mother” - Indira, Dashwanth’s mother. Ramesh is trying his best to not let his handicap get in the way of saving his son, but is scared that he will run out of time. “I have been working overtime to try and make some money for my son’s transplant. But I make in the thousands, while we need Rs 20 lakhs. I don’t even have a house of my own. Such a big amount is beyond my reach; I am begging friends and relatives to help me but time is very less. My son is getting sicker by the day. He has stopped drinking milk today. Tomorrow something worse might happen. I don’t know what to do,”-Ramesh, with tears in his eyes. 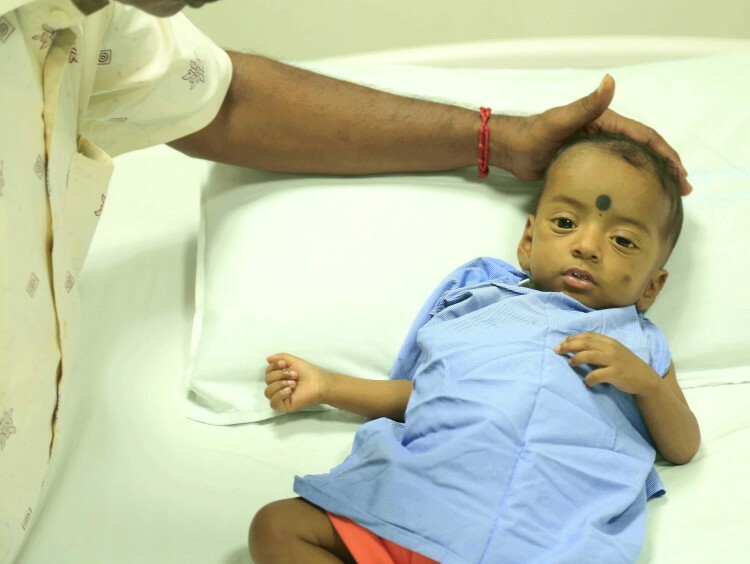 Ramesh is working day and night to try and arrange funds for Dashwanth’s liver transplant, but nothing has worked out so far. He does not have any property that he can mortgage. 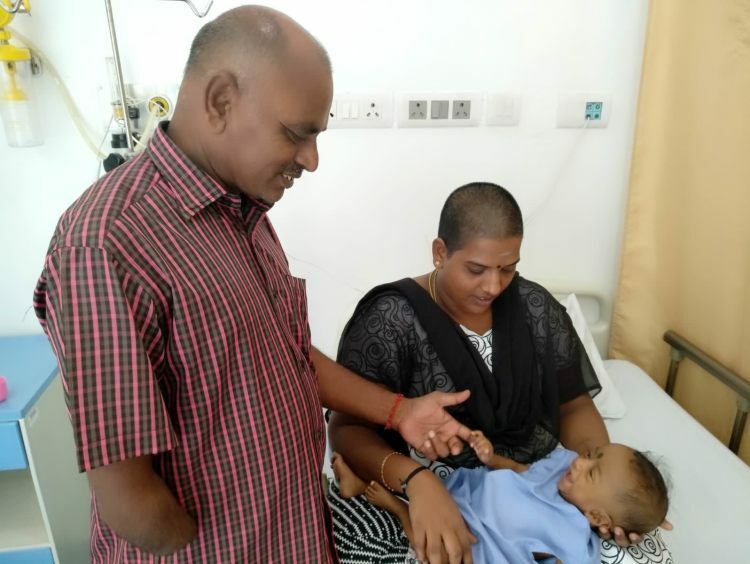 Sometimes, he is even unable to take Dashwanth for regular check-ups because he is determined to work hard and pay off the dues he has accumulated till now. I am grateful to all of you for the love and support. 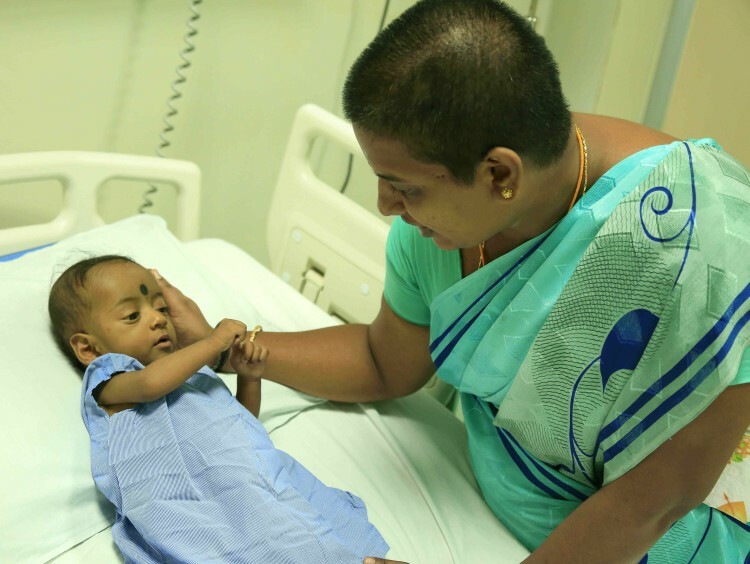 Dashwanth is presently at home and is ok. We are still waiting for a donor for the transplant. We had found one donor but it didn't match. Once we identify a potential donor, doctors will plan for the transplant. We shall keep you posted. Will keep you posted. Please pray for his health. Dashwanth is resting at home. However, he has been vomiting frequently. The doctors are still looking for a donor as my wife and I are not eligible. I thank you for your blessings and request you to continue praying for him. We have some exciting news to share. Dashwant is doing fine now. He has some fluids accumulated in his stomach and he has to undergo some treatment for that first. Post that transplant will be scheduled. He is regularly following up with the hospital. Date of the transplant is not fixed yet. The entire family would like to thank each and every one of you from the bottom of the heart for all the wonderful support that you have showered. Please keep praying for Dashwanth.